Gnome 3.12 is now available for Fedora 20 through a third party repository maintained by Richard Hughes (Gnome Power Manager and PackageKit Maintainer). 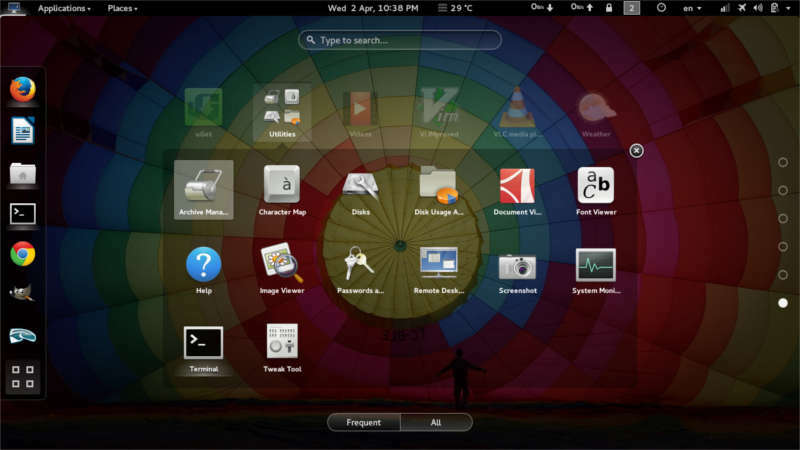 This repository gives fedora 20 users (who uses Gnome 3.10) a smooth update to Gnome 3.12. Usually a new gnome version will be available with a new fedora release. Fedora releases are streamlined with a new gnome release in six months. But fedora 21 will be available on October 2014. Richard Hughes said that the repository only had a small amount of testing, it’s probably better to try it in VirtualBox rather than on a production system. So use it at your own risk! But there will not be any major errors in Upgrading to Gnome 3.12 on Fedora 20. It works very smooth after upgrade. ( If you want to try GNOME 3.12 in a virtual machine, you can also do this by using the GNOME 3.12 live CD. ) This is Just a Warning. We tested it on production system without any issues. It is much more stable and responsive than other Gnome versions.